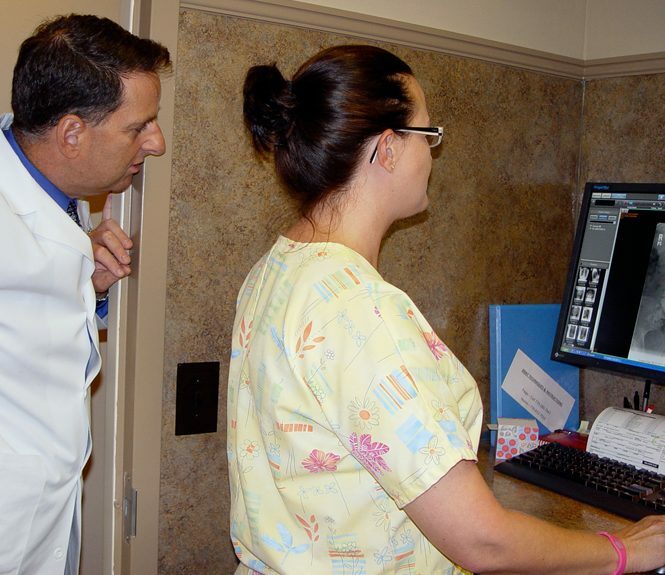 In April 2009, Robert Guerreso, D.O., implemented his electronic health record system; now, every exam room is equipped with a computer, a setup that helps Guerreso update progress notes quickly and accurately during patient interviews. 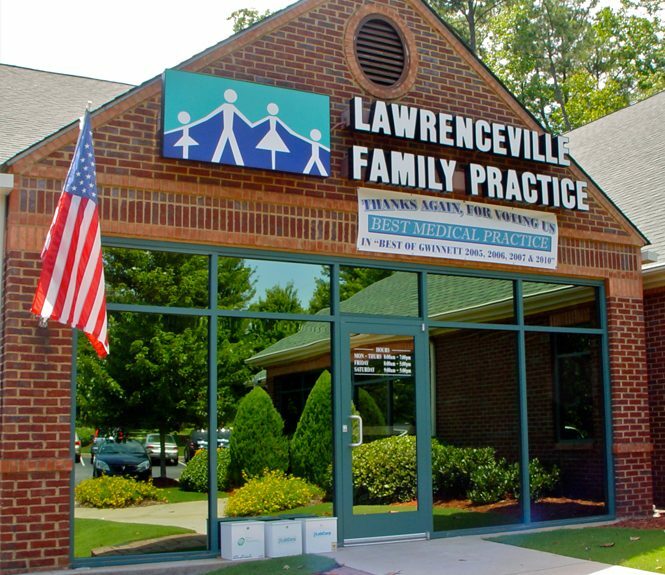 Above the front door of Lawrenceville Family Practice, a banner proclaims that the practice was voted "best medical practice" in Gwinnett County in 2005, 2006, 2007 and 2010. Among the reasons: The practice offers extended hours Monday through Thursday until 7 p.m. and Saturday from 9 a.m. to 5 p.m., and patient Web portals are available 24 hours a day. A recent enhancement at Lawrenceville Family Practice is the installation of a digitalized X-ray system that allows Robert Guerreso, D.O., and the in-house radiology technician to check images just taken of a patient's lower spine. Robert Guerreso, D.O., shown here with his patient and mother, Josephine Guerreso, says his electronic health record system allows him keep tabs on patients seven days a week from his home computer, which means extra work for him but ensures quality care for his patients. If the Georgia AFP(www.gafp.org) has its way, the state soon will be known for more than its abundance of juicy peaches. By the end of 2012, chapter leaders envision Georgia as a state ripe with family physicians who can, with full confidence, call their practices bona fide patient-centered medical home, or PCMH, practices. They also hope it's the beginning of a groundswell of support for the PCMH model in Georgia. 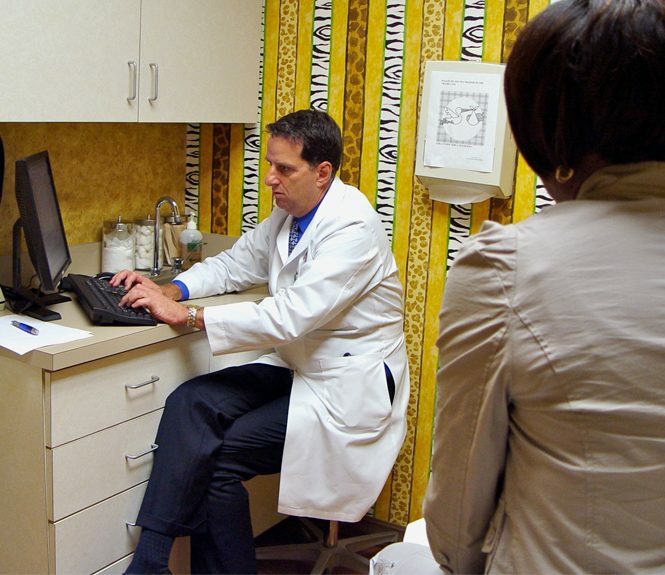 Robert Guerreso, D.O., shown here examining patient Shinita Glover, says the components of the patient-centered medical home already in place in his office, including team-based care and a robust electronic health record, have increased the safety and quality of the care delivered in his practice. According to Georgia AFP President Harry Strothers, M.D., of Atlanta, chapter leaders watched on the sidelines for many months in 2009 and 2010 as PCMH demonstration projects sprouted nationwide. "The movement was progressing in other parts of the country, and nothing was happening here," said Strothers in an interview with AAFP News Now. In 2010, however, the Georgia AFP Board of Directors voted to provide $250,000 in seed money from the chapter's financial reserves to launch a "PCMH University" with 22 family medicine practices, two internal medicine practices and three family medicine residency programs. Class was called to order in November 2010 at a group meeting in Atlanta. persuade public and private payers in Georgia that those newly minted PCMH practices deserve to be financially rewarded for the high quality of care and improved outcomes they provide their patients. Chapter leaders also are certain that insurers and businesses in Georgia will enjoy a reduction in the health care costs incurred by patients cared for by that first class of PCMH practices. Convincing primary care practices to change the way they do business is one thing, but persuading health plans that they should pay those practices more money is quite another. Enter Wayne Hoffman, M.D., of Atlanta, a board-certified family physician who left clinical practice years ago to work as medical director with a string of health insurance companies, including MetLife, BlueCross BlueShield of Georgia and WellPoint. Currently, Hoffman is chief medical officer of LifeAlly Inc., an online wellness community, and serves as board secretary of the Georgia AFP. Hoffman's experience as both a clinician and a health care executive makes him a valuable negotiator in the payment debate. In an effort to keep the PCMH University affordable, most of the practice support takes place via TransforMED's Delta-Exchange(www.transformed.com) online collaborative network. Practices participate in webinars and receive specific assignments from TransforMED. TransforMED staff members conduct monthly conference calls with each practice to check on progress, review assignments and discuss challenges. The TransforMED team is always available for telephone consultation, and a local consultant hired by the Georgia AFP serves as the "boots on the ground" practice coach when necessary. PCMH University participants will meet with TransforMED staff for five large-group sessions during the course of the project. "I have to admit that when I was involved with this six years ago (on the insurance side) and I started hearing about the patient-centered medical home, I thought we (health plans) were already paying for this kind of model with our primary care networks," said Hoffman. Since then, however, Hoffman has become "a complete believer" in the PCMH model and thinks most insurers also recognize its benefits. But many health plans say they need more proof that the PCMH model truly improves patients' health before they'll initiate blanket increases in physician fee schedules or move forward with shared savings models, he said. Hoffman noted, however, that increasing the number of PCMH practices -- and gathering the data insurers want -- will take time. In the interim, he has hatched a plan that takes advantage of language in the Patient Protection and Affordable Care Act that requires insurance companies to maintain a medical loss ratio requirement of 80 percent to 85 percent. That means health plans in large group markets must spend 85 cents of every premium dollar on medical costs for beneficiaries; plans in the individual and small group markets are held to 80 cents on the dollar. So, for instance, if, at year's end, a health plan has only spent 75 percent (of premiums paid) on medical costs, the insurer must rebate the difference back to the customer. "We believe the PCMH University could be considered a medical cost if we structure it correctly," said Hoffman. "This fall, we will prepare a proposal to health plans suggesting they use that rebate money to fund 'scholarships' for future classes of the PCMH University." Howard McMahan, M.D., of Ocilla, Ga., is a past president of the Georgia AFP and a member of the AAFP's Commission on Quality and Practice. He's known around the chapter as chief instigator of the PCMH University project after relentlessly promoting the PCMH model of care during his three-year stint on the Georgia AFP's executive committee. Health information technology gives Robert Guerreso, D.O., instant access to his patient's previous spirometry report, information that will help him decide on an appropriate course of action at today's patient visit. Now McMahan's own practice is in the trenches alongside 23 other small primary care practices -- each with no more than five physicians -- trying to implement the necessary changes to get to PCMH recognition by December 2012. AAFP News Now spoke with other physicians involved in the PCMH University project, and all praised the chapter's efforts. "It's nice to have a little help," said Robert Guerreso, D.O., of Lawrenceville, Ga., adding that he jumped at the opportunity to get involved with the PCMH project after 17 years in private practice. 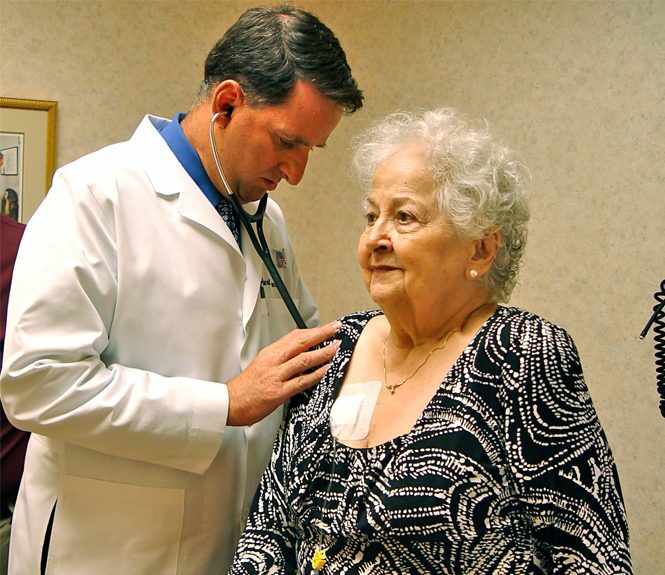 In the past few months, his patient portal has gone live, and Guerreso's patients love the convenience it affords them. "We feel like we're on par with some of the biggest providers in the country," said Guerreso. Anne White, M.D., of Rome, Ga., has been in practice for 25 years and has operated a solo practice for the past 11 years. "Running your own practice is a huge undertaking," said White. "The financial boost from the chapter helped." White is most anxious to improve her chronic disease management and hopes to have group visits in place by 2012. Thaddeus Riley, M.D., of Statesboro, Ga., is speaker of the Georgia AFP and has run a two-physician practice since 1992. Riley knew the PCMH model was on the horizon, but the cost of all that change -- without the promise of better payment -- kept him on the sidelines. "Our (Georgia) Academy had a lot of foresight and wanted to encourage it; I was lucky enough to be selected," he said. Riley's patient portal will be online soon, and he's looking forward to enhanced electronic communication and the ability to better document patient care. "If we're going to stay in business, we have to do this," said Riley. Chapter EVP: Fay Brown, M.H.S. Location of chapter headquarters: Tucker, Ga.
All participants in the PCMH University pay a share of the cost over and above the chapter's cost, and chapter members receive a discount. Georgia chapter EVP Fay Brown, M.H.S., boasts that Georgia is the first state to launch a PCMH project without funding from an outside source. She cited companies such as IBM, The Home Depot, The Coca-Cola Co., Georgia-Pacific and Georgia Power as being business leaders that could "really move the dial on pushing the PCMH model," and, effectively, ensure a cadre of healthier patients statewide. "This (PCMH) class will graduate in March 2012, and it would be great if we have the next group of practices ready to jump onboard in June 2012," said Brown, adding that PCMH University alumni will serve as mentors to the practices that follow. Brown noted, however, that if the chapter doesn't "get it right" with the founding class, "there won't be a second class, no matter how much money we have ." But she challenged AAFP News Now to check back in six to 12 months. "I think we'll be able to say we've had huge success and have helped initiate higher pay for family physicians and other primary care physicians who adopt the patient-centered medical home model."